Do you know what role your website plays in your business? Much like a teenager who wants a car, your website needs to get a job. Look at it this way: You wouldn’t hire someone without knowing what they are supposed to be doing in your business. The same thing is true about your website. Being clear about what role your website plays is crucial for your business’s success. What Does Your Website Do? Perhaps you’ve never thought about this before. You created a website because that’s what you’re supposed to do. Right? Every business has a website, so yours should too. But if you’re a smart marketer—and I know you are (or at least want to be)—that’s not where the story ends. 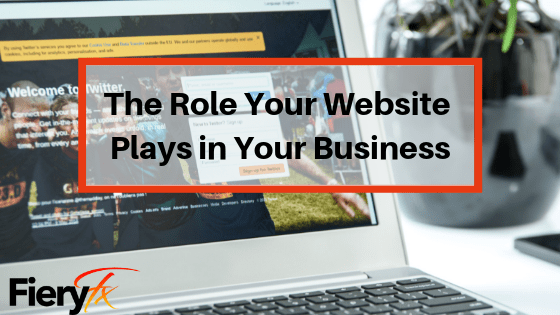 You might not actually know at this point what role your website plays in your business. That’s okay…for now. But you need to get clear on this point. If you own an e-commerce store, it’s clear what your website’s role is: it sells stuff. But not everyone has an e-commerce site. And then the role your website plays get a little murky. You might want leads from your website, but is that really its primary role? Websites are not standalone channels. They’re not like Field of Dreams; building a website doesn’t mean people will come. Even if you are so proud of the fact that your website ranks #1 for your business name, that doesn’t mean anyone’s going there. You have to get out there, in the real world, and promote your business through different channels. Your website is just one way to communicate with current and future clients and partners. Often, a website becomes a way to build authority. It’s a place where people who have heard of you or met you can go to vet you and learn if they can trust you as an expert. They need to feel that you’re worthy of doing business with, and because of that, a website usually starts out as a trust mechanism. But a website can be so much more. It can be a lead generator. It can make sales. A website can do a whole lot of things. So being very clear about the role your website plays now, as well as what you might want in the future, will help you make better digital decisions. One of those decisions could be if you need a new website or just need to make some changes to the one you have. This knowledge will also help determine how much you should spend, which people you need to hire, what your timeline is, and what you need to do to improve your web asset. One of my passions is sharing information with you, and I’ve been covering the topic of whether or not you need a new website. Once you know what role your website plays in your business and in your marketing, you’ll be well on your way to knowing if you need a new website or not. Questions? Be sure to follow this blog and keep up with me on Facebook and Twitter. Wondering how to make your website better?